Is Fiat Chrysler's Obsession With Consolidation Really A Sign Of Panic? Fiat Chrysler CEO Sergio Marchionne has been blathering on about the need for the auto industry to consolidate for months. But why? Why is he so obsessed with the idea that automakers should stop competing on certain things and all work together? He says that the industry is wasting billions of dollars developing the same parts across a number of automakers, money that could be returned to shareholders and be used to reduce the price of cars. I don’t think it’s as simple as Marchionne is saying, though. There are buyers who are loyal to brands because of their engineering solutions or buy a certain car because they’ve researched all the competitors and decided that a certain car fits what they need perfectly. That’s how this all works. There are a lot more people who care about what engine a car has or what components are in a car than we think. 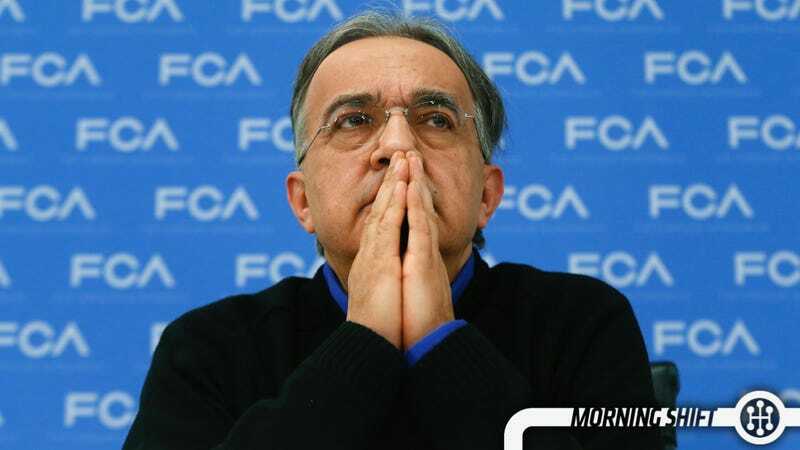 But what might actually be going on is that Marchionne is panicked about the future. While everything seems all rosy and bright right now to the outside, there are some worries for years to come. The concern seems to come from growing sales that are being matched with shrinking profit margins. There’s a lot of fleet business at FCA for slow selling cars, which is always a concern since profits there are basically nonexistent. That means less cash to develop future cars and extend his aggressive plans for future growth. Marchionne seems to think it’s for the good of the industry, but it sounds a lot more like the sole beneficiary would be FCA. GM is expected to announce today that it is going to invest several billion dollars in its manufacturing plants in North America. They will not be using the money to build new plants, but to actually revamp their existing plants for new models that are coming over the next several years. The announcement will be today at the Pontiac Metal Center in Pontiac, Michigan. The announcement does not include the return of Pontiac. We knew that Ferrari had an IPO coming, but now we have a timeline, and it’s a bit later than we expected. Ferrari will offer its IPO in the third quarter of 2015, but FCA says that the planned separation of the brand is on schedule. Ford has started four recalls for nearly 600,000 cars. This comes right after NHTSA and the automakers met to figure out ways to increase the visibility of recalls and make people care more about them. The new recalls include 518,313 Ford Fusions, Lincoln MKZs, and 2015 Ford Edges for bolts on the steering gear motor that can break and make the car lose power steering. 22,616 Lincoln MKZs are also getting recalled because when their headlights are on, the parking lights are too bright. 91 2015 F-150s might be missing heat shields under the body, and 50,157 Focus, Edge, Escape, and Transit Connects could have the nickel plating of the fuel pump cause it to seize, making the car unable to start. François Michelin, the man who transformed the Michelin tire company into a global powerhouse, has passed away at the age of 88. Michelin came in as co-managing partner in 1955, and helped make the Michelin X Radial (which was introduced in the 1940s) into the global standard. When he left the company in 2002, Michelin had become the world’s largest tire maker. The Land Rover, a British-made all-terrain vehicle that will earn a reputation for its use in exotic locales, debuts at an auto show in Amsterdam on April 30, 1948. How can Marchionne express his desire to merge without sounding like he’s obsessed?